Youth in the Amani neighborhood created a “pop-up” outdoor art show called “Dare to Dream, in conjunction with the city’s recent Bloom and Groom event. 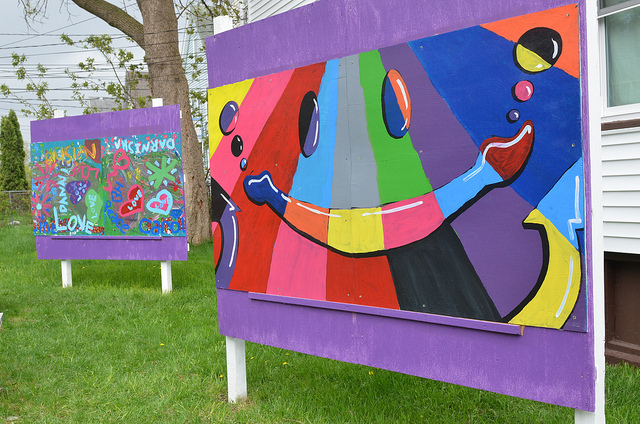 The artwork, displayed across the street from the Dominican Center, 2470 W. Locust, represents changes the young people would like to see in their community. 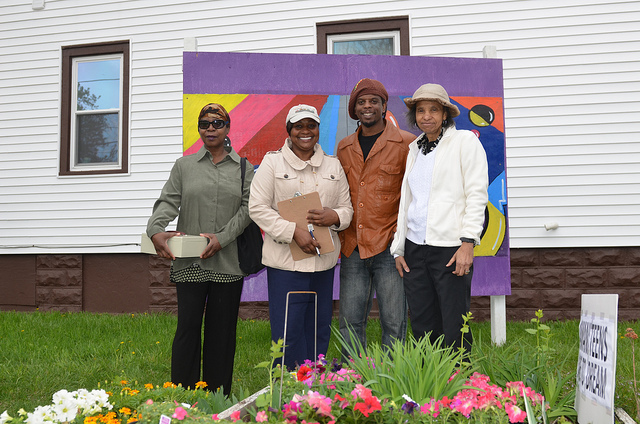 Milwaukee artist Vedale Hill supervised development and installation of the exhibit. Hill teaches visual art to preteens and teenagers at the COA Goldin Center, 2320 W. Burleigh St., and COA Riverwest. Sponsored by the Dominican Center, COA Goldin Center and the city of Milwaukee, the second annual Amani event also offered fresh flowers for attendees to purchase and plant at their homes. It also offered residents an opportunity to come together to celebrate spring and discuss local issues. Mayor Tom Barrett paid a visit to Amani to promote the flower sale. “Flowers are brightening the area and building neighborhood strength,” the mayor wrote on his Facebook page. Citywide, nearly 50,000 flowers were sold in 18 Milwaukee neighborhoods. The city’s Neighborhood Improvement Development Corp. worked with Lowe’s Home Improvement to purchase the flowers at a discounted price.